Beautiful hill country acreage with hardwoods, water, and views. 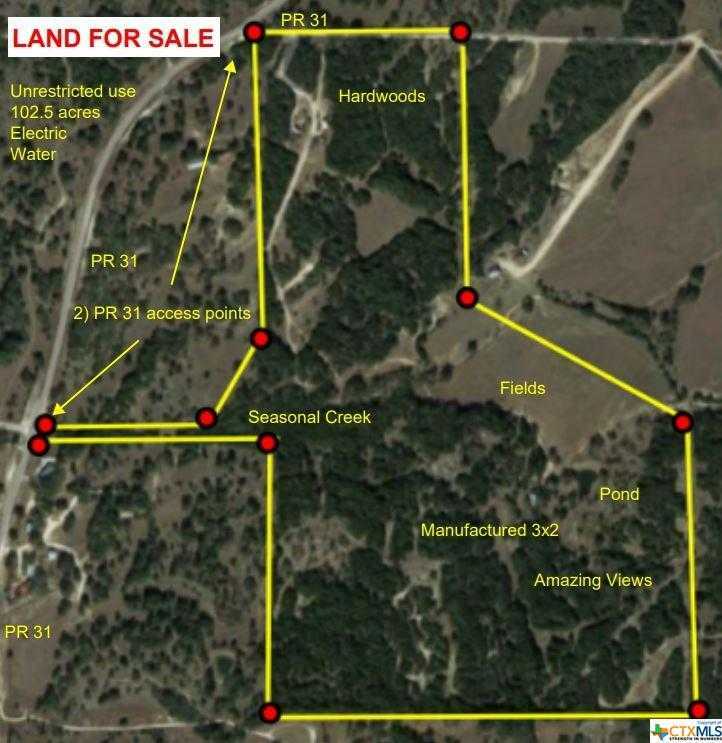 Over 100 unrestricted acres of incredible Central Texas land including fences, utilities, and a place to stay. Your back fence is ~20' away from Guadalupe River State Park! This is the place you dream about. Courtesy of Craig Real Estate. Beautiful hill country acreage with hardwoods, water, and views. Over 100 unrestricted acres of incredible Central Texas land including fences, utilities, and a place to stay. Your back fence is ~20′ away from Guadalupe River State Park! This is the place you dream about. Please, send me more information on this property: MLS# 352060 – $1,450,000 – 210 Bell Ranch, Spring Branch, TX 78070. I would like to schedule a showing appointment for this property: MLS# 352060 – $1,450,000 – 210 Bell Ranch, Spring Branch, TX 78070.